Johns Hopkins is world-renowned for its research pedigree. Our faculty at the Carey Business School bridge disciplines to translate that legacy into better business—for a better society. Central to the mission of the Carey Business School is the development and dissemination of new business knowledge. Free from the constraints of formal academic departments, Carey faculty produce thought-provoking scholarship that not only covers a range of academic disciplines but also excels at crossing disciplinary boundaries. Faculty members collaborate with faculty from across Johns Hopkins University, ranging from divisions such as arts and sciences, engineering, medicine, and public health. Bringing theory and applied scholarship to business practice is central to our mission: our faculty regularly publish in both scholarly and practitioner-oriented journals, and travel the world to disseminate knowledge on issues challenging business and society. Carey seeks to educate a new generation of leaders who will solve today’s problems and tomorrow’s challenges. Our courses combine theoretical building blocks with practical knowledge, using a variety of teaching methods including case study, experiential learning, simulations, and civic service. Special emphasis is given to four business sectors vital to the future economy: financial enterprises, health care management, enterprise risk management, and real estate and infrastructure. By bringing together faculty with a focus on both academic research as well as those with considerable professional experience, Carey seeks to give students the knowledge and skills necessary to be successful leaders and lifelong learners. Followers trust the influencers for their authentic and honest personal opinions, not for ones paid for by outside interests. 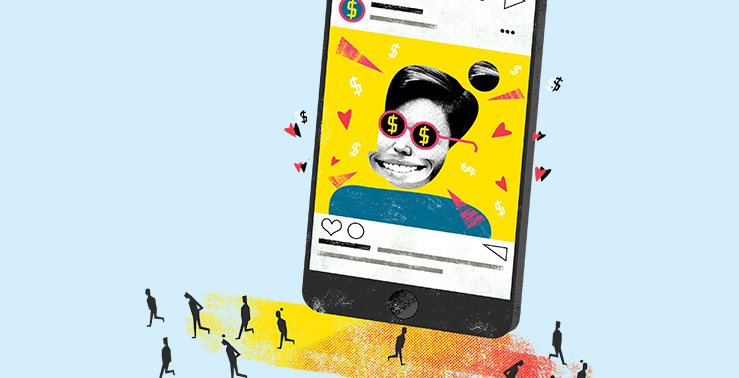 By taking marketers’ fees, the influencers cash in on their expertise, but at the cost of the authenticity that helped them gain influence in the first place.